The main index of the Toronto Stock Exchange closed at a new 2016 high Monday as oil firms and gold miners both gained. Valeant stocks also increased as the firm set March 15 as the date for its results. Oil was more than 5 per cent up by the end of the session with US crude heading towards $38 and the international benchmark Brent above $40. Gold also advanced to its highest point in over a year before slipping slightly later in the day. 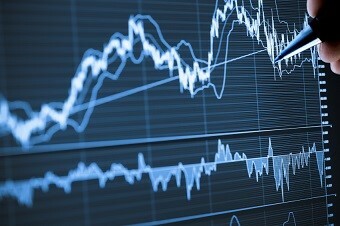 While the TSX gained it was not an easy ride elsewhere for equities; the Dow Jones gained, the S&P ended just in positive territory but the Nasdaq closed lower. European stocks fell and major indexes ended with losses. Asian markets were mixed with Shanghai gaining while Tokyo stalled. Investment firm BlackRock says that half of Canadians are wary of investing and consider it like gambling. The firm’s study found that 43 per cent of men and 26 per cent of women consider themselves knowledgeable about investing but just 37 per cent women and 51 per cent of men say they are comfortable making investment decisions. Only 42 per cent knew how much money they should save for retirement. The Bank of Canada will announce its decision on interest rates Wednesday but while there is a strong expectation that there will be no change from the current 0.5 per cent, a growing number of analysts believe there will be at least one cut this year. Bloomberg’s poll of 19 economist found that 7 believe that interest rates will be lower by the end of 2016. One, Thomas Costerg of Standard Chartered expects rates to be cut in half to 0.25 per cent in July.